It's been 30 years since I sent my first CQ out over the air waves. Oddly enough upon closer inspection things haven't changed that much or perhaps I should mention that my ham radio activities have finally come full circle and I find myself these days sitting in front of my old friend, my HQ-180 and simple Glow Bugs comprised of two tube xtal controlled transmitters. Oh, some will say I have gone into a retro mode and perhaps they are correct. After all, my first transmitter was built around a single tube xtal oscillator and my receiver was an NC-109. 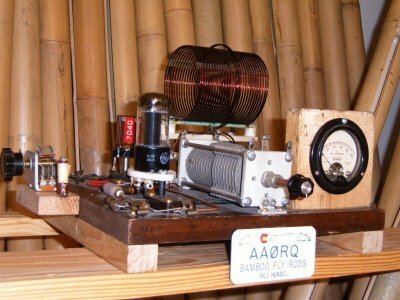 Oh there were many rigs that have entered my shack over the years such as: MFJ, HW-8, HW-9, Argonaut 515 and many homebrew QRP rigs. I still miss my old Argonaut 515 greatly. I'm not saying I won't buy a K1 or K2 some day. I am just saying that, seeing those tubes glow, fumbling around trying to insert a xtal into the rig and getting bit by the B+, calibrating the HQ-180 with its 100 Hz xtal calibrator, seeing the actual components bread boarded on top of a piece of wood, hearing my call come back to me from another distant CW station still gets my heart to miss a beat. To do it with Low Power QRP is icing on the cake. 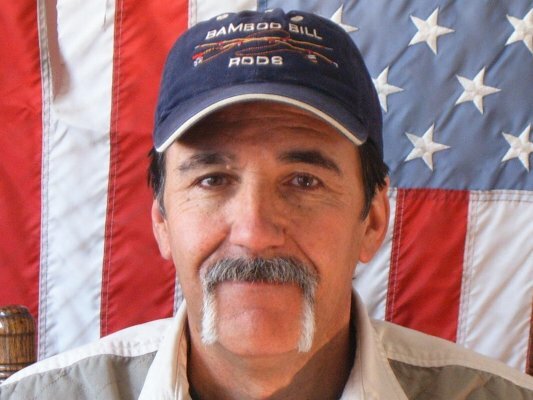 I am very passionate about fly fishing with bamboo fly rods and have a motto "Life is too short not to fish with bamboo" and I could easily replace that motto with "Life is too short not to ham with CW QRP." If there is no passion in an activity I simply don't involve myself with it. Hedonist.....you bet. But life is short and getting shorter everyday. It has been said, that everyday spent fishing does not count as a day used up in one's life. I like to think that a day having CW QSO's would be looked at just the same way. Let me add, that because of John's (K3WWP) efforts regarding CW, QRP and his splendid web site, I have brought me into "the fold" of a very fine group of CW QRP operators who actually get on the airwaves and not just talk about QRP in cyber space. Thanks to all, AA0RQ Pine, Colorado where the mountain air is fresh and cool.